The network is comprised of a collection of boutique hotels in remarkable destinations around the globe and Siwash Lake Ranch is one of just three in destinations in Canada to receive this distinguished honour . By helicopter safari, Siwash guests explore the mighty Fraser River basin; they soar over sandstone hoodoos, discover native petroglyphs, pan for gold, and then alight on an Alpine ridge for a walk amid wildflowers, with sweeping views of the Cariboo plateau. Or they can ride horseback on a full-day trail excursion with a private guide, pausing to enjoy lunch cooked over an open fire high atop a scenic mountain bluff. 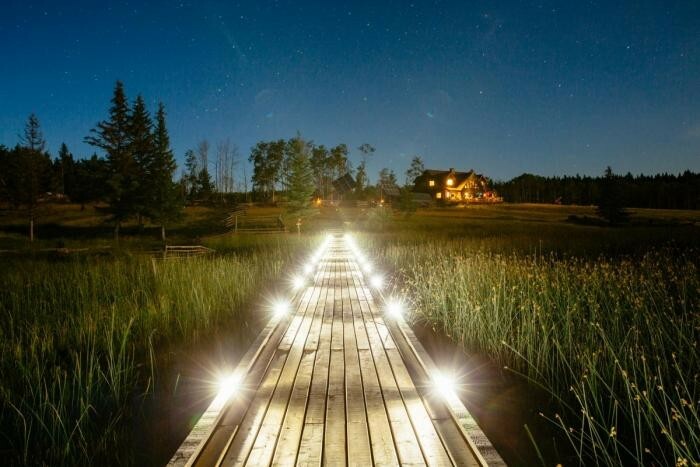 The ranch at Siwash Lake is a private hideaway located in the rugged heartland of British Columbia. Spread throughout 80,000 acres of pure Canadian wilderness, Siwash guiding territory features rolling hills, grasslands, lush forests and a majestic river canyon. Sustainability is at the heart of this solar powered resort, where 5-star cuisine is prepared from food grown on the ranch or foraged from the wilds nearby, and an extensive activity program offers adventures to suit all. Authentic frontier accommodations feature the ranch’s legendary canvas cabins—lavish safari tents with nature all around. Request more information about Siwash Lake Ranch. Posted in BCGRA News | Comments Off on Siwash Lake Ranch Now Featured on National Geographic Unique Lodges of the World! Now is a perfect time for US citizens to visit their friendly northern neighbour, Canada. Thanks to a positive exchange rate your US dollar will now take you further; all the way to British Columbia and your ideal BC Dude Ranch vacation! Be whisked away into the Canadian wilderness and choose to stay at one of BC’s many exquisite dude ranches. Relax and unwind at a luxury ranch, or pull up your sleeves and join in the excitement at a working ranch. 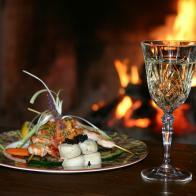 You can bring the whole family, enjoy just a romantic vacation for two or spend some ‘you time’ meeting new people. Jump on the back of a horse and explore the acres of peaceful, scenic surroundings, learn about the rich heritage in Canadian cowboy country and, finish the day by enjoying a delicious dining experience and refreshing drinks under the setting sun. With seasonal specials during the spring months you can get an even better deal on a truly breathtaking getaway! 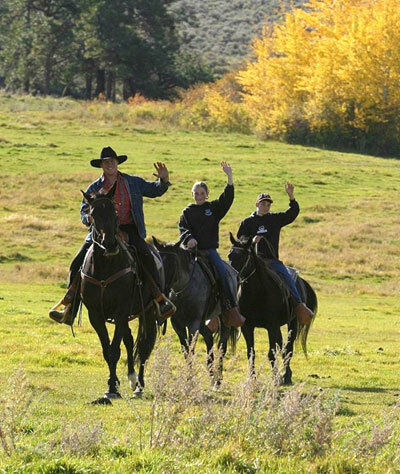 It’s our pleasure to help you plan the perfect dude ranch experience! There’s something special about horse riding holidays: Whether it’s your very first time on a horse, or the latest in a long line of horseback riding vacations, horse riding holidays are like nothing else. 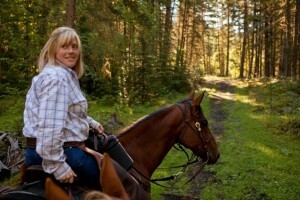 And the friendly guest ranches and dude ranches in British Columbia offer the very best horse riding holidays in the world. Our member ranches exemplify the Western Canadian ranch ideals of personal, homelike hospitality, and atmosphere. Plus, all BCGRA ranches are horse oriented. Riding isn’t an afterthought for our members, it’s the core of a complete horseback riding vacation. Riding instruction is offered at all member guest ranches, and your horse will always be matched to suit your weight and experience level – ensuring safe and comfortable horse riding holidays for everyone. Plus, because we’re blessed to live in beautiful British Columbia, all of our ranches have plenty of acreage on – or adjacent to – their ranches for horseback vacations unlike any in the world. There’s a full range of landscapes to explore here in BC, from mountains to open forests to free range. Overnight horseback riding trips and cattle work are also available at some ranches. If you can imagine a horse riding holiday, chances are one of our member ranches can make it come true. While all of our ranches offer full-day horseback riding trips, they all have other activities to balance out your vacation, too, so you can do as little or as much riding as you want. Our guest ranches have been providing memorable horse riding holidays and equestrian vacations to people from around the world for decades. When looking for the best horse riding vacations you can use our amenity search tool. If you want specific details about each ranch’s horse vacation options, just contact us and we’ll help you find the perfect guest ranch for your needs. To start planning your next horse ranch vacation, check out our member ranches today! 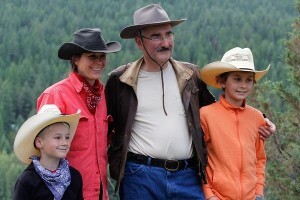 If you’re looking for a real vacation experience to help your family re-connect, family ranch vacations at family-friendly dude ranches in BC are the way to go. One of the reasons dude ranch vacations for families are a great idea is that the horseback riding lets everyone focus on the experience – and each other – rather than their mobile phone, tablets or computers. Guest ranches and family dude ranches in British Columbia have a magical way of making time slow down a little, and help folks focus on the stuff that really matters – like family. Plus, learning new skills in a family environment is a great confidence-booster for kids. Not only are our member ranches family-friendly, many of them are also owned and run by families – the very definition of a family dude ranch! When looking for the best dude ranches for families you can use our Amenity search tool. 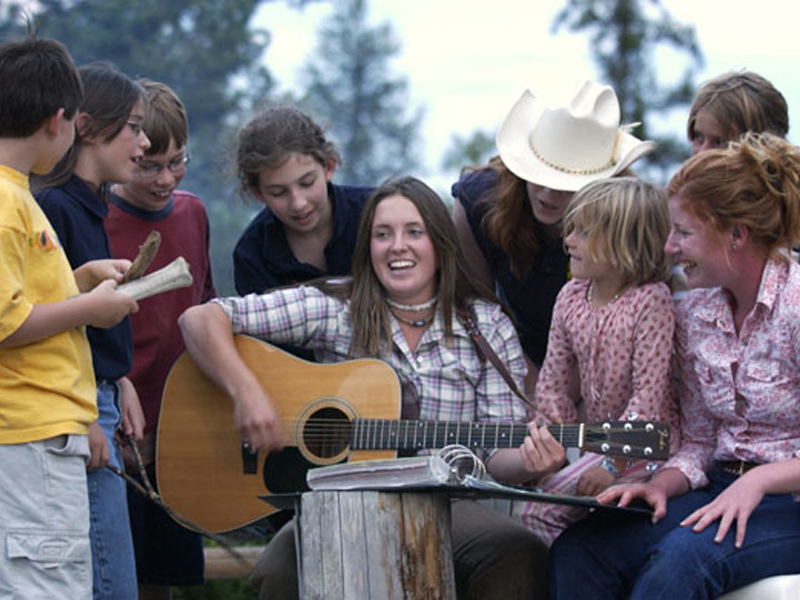 If you want specific details about family ranch vacations, just contact us and we’ll help you find the perfect guest ranch for your family. All BCGRA ranches offer horse riding instruction, and also have horses to suit any level of experience. Most ranches will have a minimum age for horseback riding, but some of our members welcome riders as young as 6 years old! 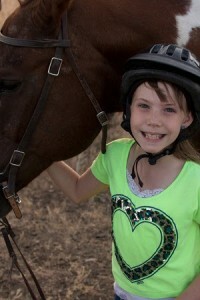 Many of the best dude ranches for kids also have dedicated children’s programs. Whether you want to ride as a family, or have the kids occupied and engaged with other activities while you ride, our members love creating memorable family ranch vacations. Many of the best dude ranches for families feature plenty of activities beyond just horseback riding, too – including swimming, canoeing, fishing, and other wonderful outdoor pursuits. Plus, since all family ranch vacations include meals and most other costs, it means everyone in the family can put their feet up at the end of the day and relax. Start planning your family ranch vacation today by checking out our family-friendly guest ranches. Through Spring Lake's working vacation, guests learn the in's and out's of ranch life. Spring Lake Ranch is tucked in the heart of British Columbia’s Cariboo country. Unique to many guest ranches, Spring Lake offers a “Working Vacation”. Involved in this, vacations offer free room and board for a minimum of six weeks. Work involves maintenance, cleaning of cabins, yard work, kitchen duty and of course working with the horses. In the early spring, fall and winter, some work involves working with cattle as well. Time off for line dancing, hayrides, fireside cookouts, swimming, canoeing and some short trips including rodeos and Bakerville. Through the working vacation, guests get some good one on one time with their favorite horses. So You Think You Can Ranch? Free Rein Guest Ranch is situated amidst some of British Columbia’s most beautiful Canadian wilderness on 285 acres. Opening day for the season was May 1st, but there was a lot that had to be done prior so everything was ready and up to par for arriving guests. This year Free Rein implemented a new way to get ready for the season, an idea that formed So You Think You Can Ranch. The concept was three-fold, first to generate revenue outside the ranch’s main season, second to give guests an opportunity to see behind the scenes and get involved, and third to help the ranch prepare for the up-coming season with some extra hands on deck. This package was of course offered to experienced riders only as the horses can be a little “fresh” in the spring. With a successful first year, Free Rein hopes to continue to offer this package, one that is a win win for everyone. All tack at Free Rein is cleaned upon guests arrival. The list of things that need to be done around the ranch before opening day are long; fencing, painting, clearing trails, laundry, cleaning and of course preparing the horses to name a few. When it comes to preparing the horses, the first thing is to have them all checked out by a vet to make sure they are in tip top shape. They are 5-way vaccinated, dewormed and teeth floated if necessary. Then comes the ground work training for a week before riding to reestablish boundaries (which they sometimes tend to forget over the winter months). The horses are lounged to take the edge off and get them in shape. They are then rode in the arena before heading out onto the trails. Once everything is cleaned, cleared, painted and tidied the doors are opened to another season of memory making experiences for Free Rein guests. Horses are "tuned" up before opening day at Free Rein Guest Ranch. Posted in BCGRA News | Comments Off on So You Think You Can Ranch? When driving into Three Bars Ranch, it’s hard not to notice the breathtaking beauty all-around. Along the long, curvy road leading into the ranch you take in the sites – trees surround the road on both sides with glimpses of the Rocky Mountains in between, home to a variety of wild life. You may have to stop briefly while a couple dude horses amble across the gravel road on route to the creek for a nice cold drink on a hot day. "Max", Jesse Beckley's Aussie and the official "Meeter Greeter" of Three Bars. Once you drive into Three Bars, it’s even harder not to notice the instant hospitality waiting for you at the front gate. The official Three Bars greeter is friendly, with a big smile that shows off his pearly whites. His soft kind brown eyes say it all, “welcome to my home, I’m so happy to meet you.” Although his long, slightly curly hair, which is outlined in white, is a little unruly, he is very easy on the eyes. No worries about where to go from here, he’ll show you the way. In case you were wondering his name is Max and he is the “meeter greeter”, a three-year-old Australian Shepherd, one of many “ranch dogs” you will encounter on your visit to Three Bars. "Bo Bo", the old man of the ranch, follows Jeff Beckley doing his daily chores. Once at the lodge you will most likely be greeted next by the “man of the house”, Bo Bo, an elderly black and tan wiener dog. He’ll bark upon your arrival to let April or Tyler know you have arrived so you can get situated in your cozy cabin. 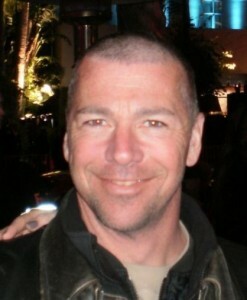 If he’s not in the lodge, Bo Bo can be found trailing Jeff Beckley around the ranch doing his daily chores. His favorite past-time is hunting, whether it be small game such as gophers or tracking a large elk (don’t let his size fool you, he is quite a good hunter). Next, you will most likely be introduced to Tyler Beckley, who will be followed by a slow, snorting, fat bulldog, fondly known as Bru. He’ll need to to get really close to you so he can sniff you as his sense of smell is not so good. He’d particularly like it if you scratched him – his short chubby legs just don’t reach far enough. Bru spends his days sleeping upstairs in the lodge office snoring loudly and occasionally wanders outside to bask in the sunshine. So now you’re all set and have discarded your bags in your cabin. So you head out for a walk-about around the ranch to get your bearings and check things out. At some point you will wander past the reiner barn that houses all the performance horses. Here you meet Tank and Joe. They are in their kennels, wagging their stubby tails, eager for some attention. The “boys” as they are often referred to are German Short Haired Pointers, and Three Bars bird hunting dogs. 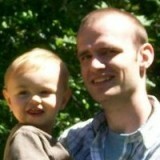 The boys are about two-years-old now and Jeff Beckley trained them himself. They are proving themselves as great bird dogs, and if you happened to book a pheasant hunt at the ranch, they will be more than willing to help you out with getting your birds. Tank & Jo as puppies. If she hasn’t already, Miss Tiggy, the “Barn Queen”, will come running – barking the whole way. You may be expecting something large in size, but simply look down and you will see a little red haired eight pound wiener dog. Don’t be offended when she doesn’t let you pet her, she is very shy and a bit of a snob – it takes a while for her to warm up to people. Your best bet is to simply ignore her, which she eventually won’t be able to stand and will come see you and may even let you give her a little pat. Tiggy spends her days helping Jesse and Dee out in the arena with the reining horses. Her best days are when she gets to assist in lounging a horse or two, she is a working dog after all! "Tiggy", Jesse & Dee's miniature doxen, is one fast pup! Last but not least, when you go in for dinner Sunday night you most likely will be happily greeted by Marley, Jenna Beckley’s affectionate yellow Lab. After you’re all finished with dinner Marley is more than happy to play and loves kids – entertaining is her specialty. Needless to say you will not be forgotten at Three Bars. There’s always a “meeter greeter” and smiling face at each corner of Three Bars Ranch. "Marley", Jenna Beckley's yellow lab, is an affectionate and loving girl.